Wrong, a black metal band formed out of Spain, is the sole responsibility of Phlegeton from Wormed and DP from The YTriple Corporation; a band which also houses Phlegeton as the drummer. 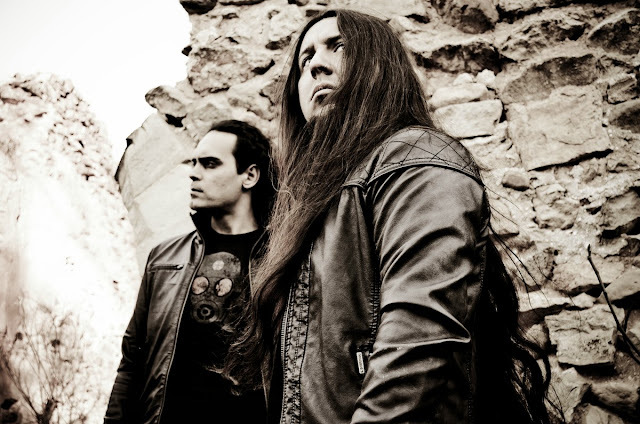 In 2012 two formed an unholy alliance and have now brought Wrong upon the metalverse, Phlegeton takes on the role of the drummer and vocalist while DP is given the task of assembling the guitars, bass, pianos and effects. 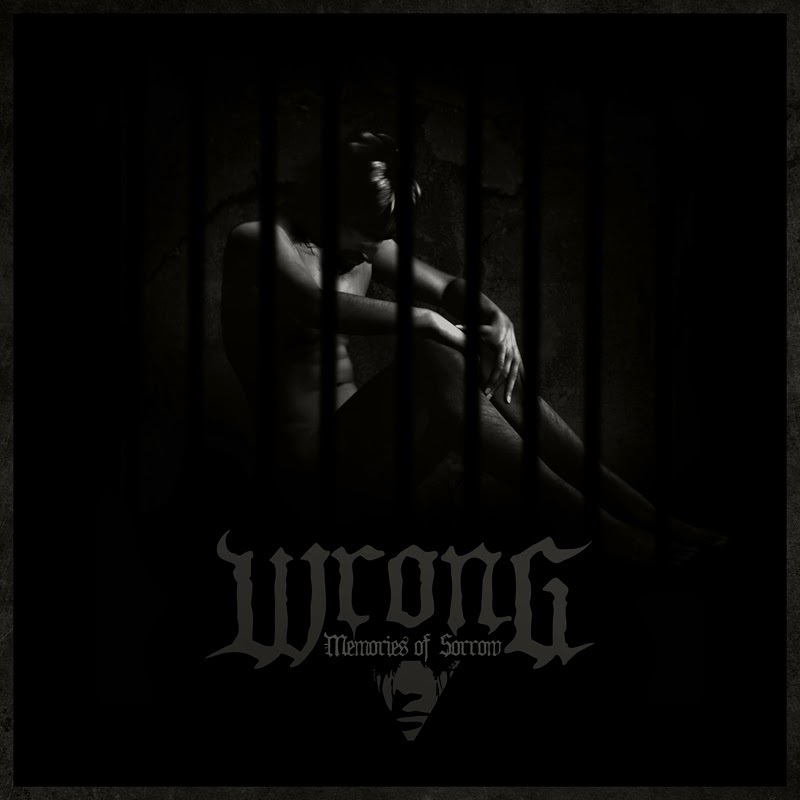 How well do these duo perform together in Wrong's debut full-length album, Memories of Sorrow? After the highly successful release of the anxiously anticipated second full-length Wormed album, Exodromos (reviewed here), it's hard to expect anything less than phenomenal from the compelling mind of singer, songwriter, composer and drummer Phlegeton. Although while Wrong is a completely different descent into darkness than his other musical adventures which have consisted of death metal, grindcore, melodic death metal and even doom metal, this is not the first time he has worked with the genre of black metal; such as in bands Null and Godüs, the latter being still active but stagnant since 2007 at the time of writing. 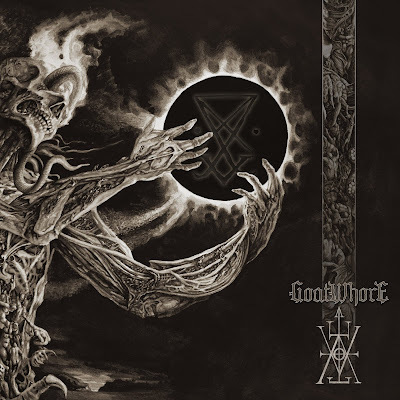 However, Memories of Sorrow takes on a distinctive depressive black metal quality to it that has very slight but similar characteristics to that of Shining. In addition to the vocals and drums, Phlegeton also contributes to the songwriting, lyrics, mixing and production of the album, as well as created the album art and designed the concept. Dave also helps with the songwriting on top of his aforesaid tasks of being the guitarist, bassist, pianist and effects contributor. It's obvious that the two have a great chemistry in working together during the content, though there is a lack of variation that rips away large chunks of the potential that the album carries. Droning riffs and song structures drown in excess tremolo picking that is far too paradigmatic for the black metal genre, all the while accompanied in large quantities of blast beats. There are a few saving graces that redeem the material throughout, though they feel few and far between since the previous qualities give the full-length a feeling akin to walking down an ever expanding hallway. Memories of Sorrow opens with a tormented scream, tremolo picking, a soft piano line and a genuinely ear catching drum beat, all promising of a unique experience into black metal. 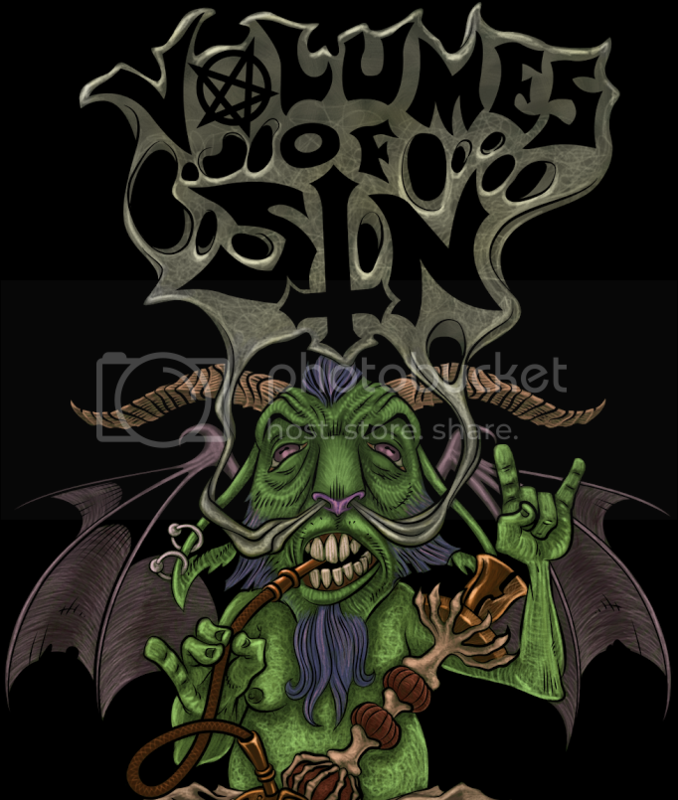 Soon, the album picks up with blast beats and the heavy tremolo picking that shrouds a majority of compositions. With that being said, the tremolo picking can swiftly go from a verse structure to a solo seamlessly and keep the same style in tact, the same can be said for the few power chords briefly heard. The guitar does take breaks from this technique from time to time and branches off into diminished strum riffs or picking patterns that set the content ablaze with an eerie off-tone, such as what is heard in "Through This Slit"; a rather upbeat and charismatic track. This aspect can be proclaimed for the piano composure, in that it sometimes purposely plays off-key notes that provide a ghostly factor to the audio. The piano is quiet and discreet, adding a sense of fragile delicacy to the content which offsets the hardened, brutal metal stringed instruments. This element coincides with the fragile-minded aspect of the tormented human that the album lyrics convey. Often prominent, the bass line can be heard keeping a steady backing rhythm to the changes in guitar frets and vocal octaves with deep thumps. When they are not blast beating or galloping their way through the background like one of the four horsemen of the apocalypse, the drums are exhibiting an impressive arrangement of contemplative structures that sync in rhythm with the guitar; thus the statement in saying that Dave and Phlegeton have great chemistry through the record. The hi-hat can be heard riding in time with certain sets of guitar picking, as in "Through This Slit" and "I Prefer So". Vocally, the album is painted with forlorn cries that push the entire album concept to a further level. Between the agonized laments, the vocals exceed a range of octaves through a mist-like echo effect that is homage to black metal of old. Very seldom, these vocals can take on a chanting aspect to them that is reminiscent of 80's style true goth, as well as what may be heard in a Ceremonial Castings album; this quality is well defined in the track "Now I Remember". Memories of Sorrow takes the listener on a twisted journey through someone who is turning insane through their haunting memories. The album concept in itself is brilliant and fairly well executed, although the guitar riffs could use some reconstructive surgery, as it tends to linger on the same structures for too long from track to track with too much tremolo picking included. The highlights of the album lie within the drum patterns and vocal grievances. Recommended to fans of depressive black metal, those looking for a twisted lyrical journey, and those who appreciate old school black metal that is filled with tremolo riffs and fantastic drum beats.